As part of its Economic Development Focus Area Incentive Program, the City of Shasta Lake has established a Business Improvement Incentive Program designed to encourage the improvement and investment in commercial properties located on Shasta Dam Blvd Target Area that contribute to the revitalization within the City of Shasta Lake. The Improvement Incentive Program features a grant of up to $2,500 and additionally a loan for $2,500 for a total of $5,000 to assist in the cost of improvements made by a property owner or tenant that are necessary for use of the building by the tenant. The program must only be used for zoning permitted, administrative, or Use Permitted uses within the Zoning District. Any permit required must be submitted and approved before funds are dispersed. •	Installation or replacement of outdoor landscaping. •	Electric Panel and interior wiring repairs. •	Replacement or upgrade of utility connections or permanent fixtures. •	Any permanent items must be requested and approved by the property owner as part of the application process. •	Items necessary for use of the building by the tenant that are significant improvements - like transformers or a similar need. Should transformers be part of a grant – they will need to stay with the building. •	Processing fees for a merger of properties to improve use of the property. •	Tables, chairs, or umbrellas. Eligible Loan Uses: Loan funds may be used for property improvements as listed above as well as interior improvements that are permanent including paint, built in refrigerators/freezers, wiring, plumbing, interior walls that cannot be removed from the building, doors and other permanent improvements as approved by the Loan Committee. 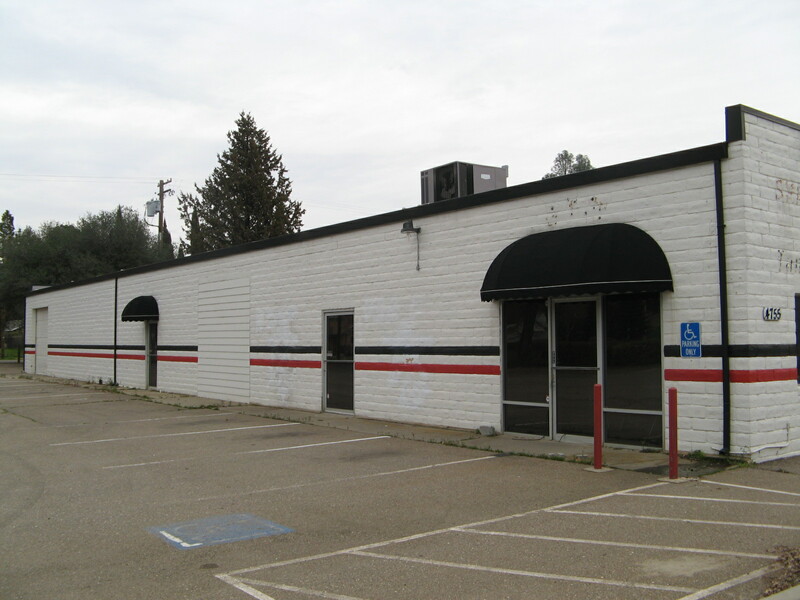 Property owners or tenants located in leased or owned commercial properties located in the City of Shasta Lake Shasta Dam Blvd Target Areas. Exceptions can be made for businesses outside the target areas. A business owner (tenant) that is not the property owner must show evidence of the right to alter the property, or consent from the property owner (see property owner’s authorization form), who can provide a minimum lease of one year prior to disbursement. For a new business, the business owner must provide a business plan with a corresponding 3 year cash flow projection and tax returns (fiscal information to be kept confidential). The maximum amount of the Facade Improvement Incentive grant is $2,500 and loan of $2,500. In order to qualify for the full $2,500 amount, the total verified project cost must be in excess of $2,500. Any projects in excess of $5,000 will be the responsibility of the applicant for the difference. The applicant may request assistance from the City in accessing funds from other entities for this work. The application will ask for a narrative description of the project scope which must be complete. The applicant will hire the contractor and is responsible for obtaining design and building permit or any discretionary permit approvals. The City will reimburse the applicant for work performed, based on submittal of acceptable evidence of the work performed, including copies of paid invoices, credit card receipts with statements identifying the work performed, and copies of cancelled checks (front/back), or such other evidence as required by the City. The business must be open to the public, and free of building code violations or tax liens. 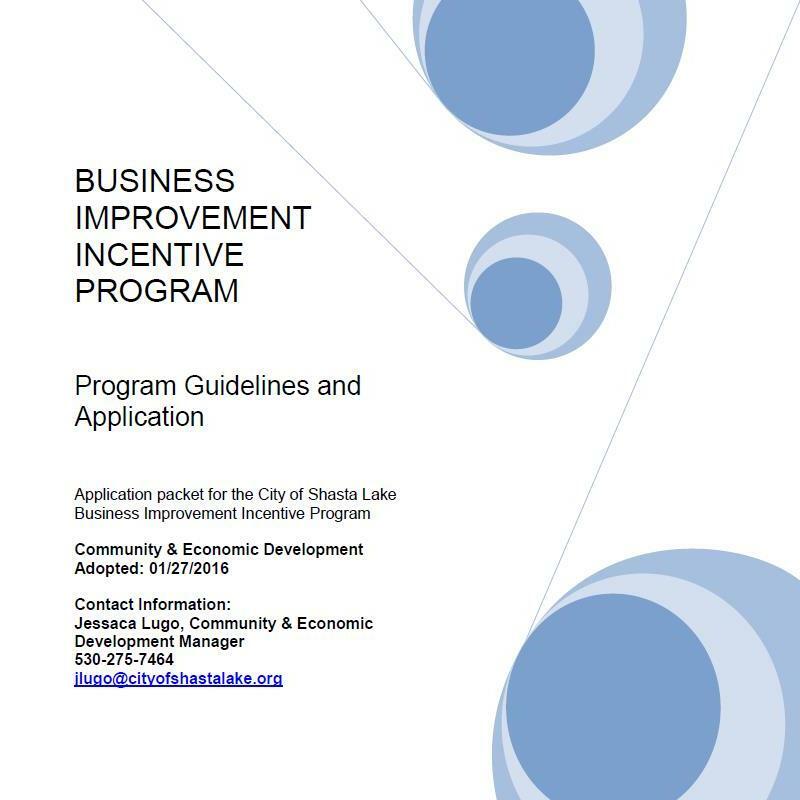 All Business Improvement Incentive Agreements require City of Shasta Lake Loan Committee Approval.